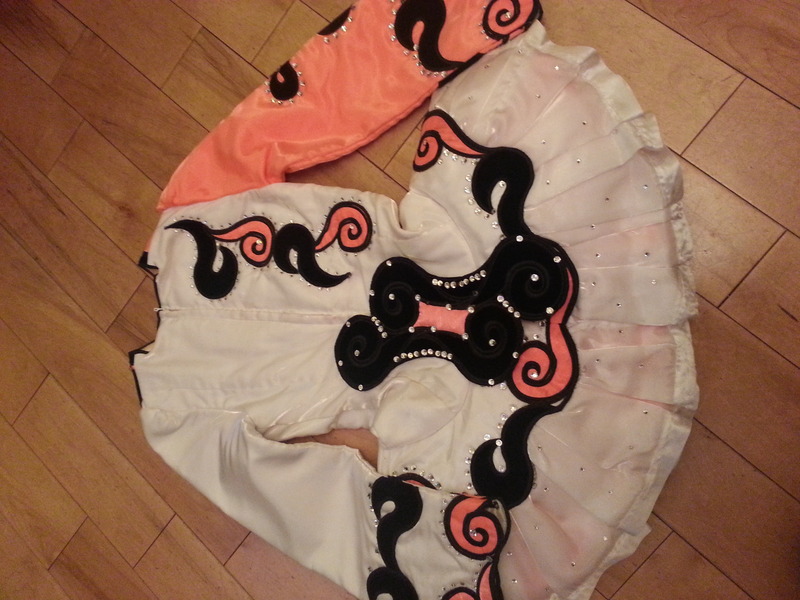 The dress is mainly Twinkle white and a bright orange satin with little bits of black velvet and black stitching. The main pattern of the dress is a swirl diagonal pattern which consists of the main colours. 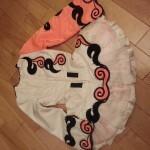 It has a white pleated skirt with an orange underneath. 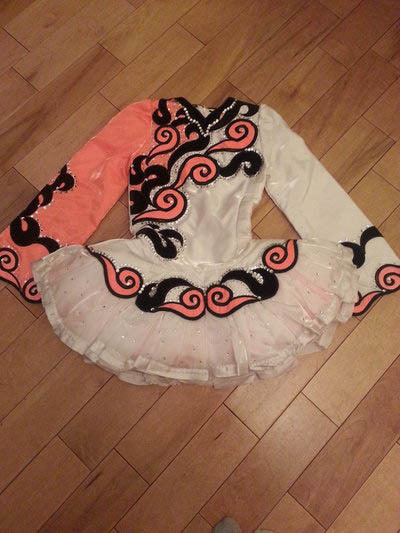 It has a high number of crystals scattered all over the dress to give it a good stage presence, the dress is also bright to make it stand out a lot more on stage. I am selling this dress due to growth and it is in excellent condition. It is only 12 month old. 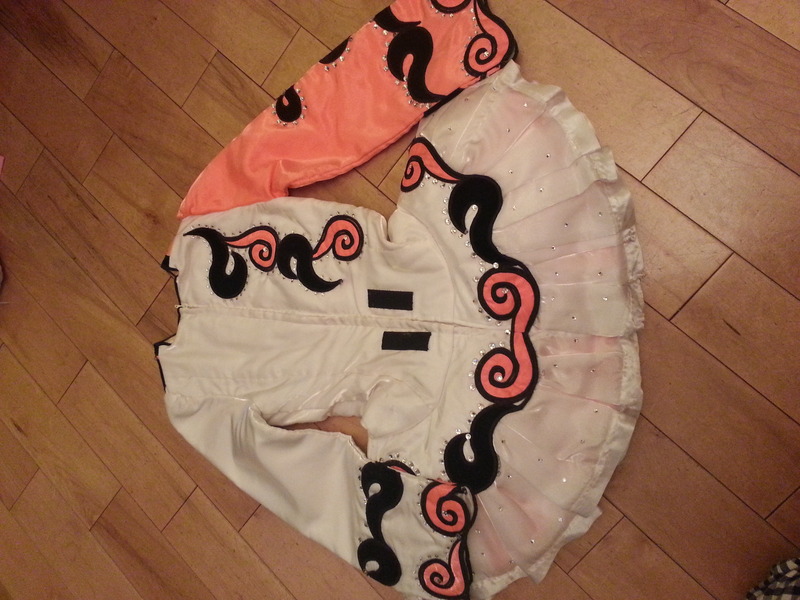 The dress comes with orange knickers to match the underneath of the skirt and a stick on back piece to hide the zip. There is quite a bit of room for the dress to be let out on the bodice and there is a bit of room for the dress to be let down as well.